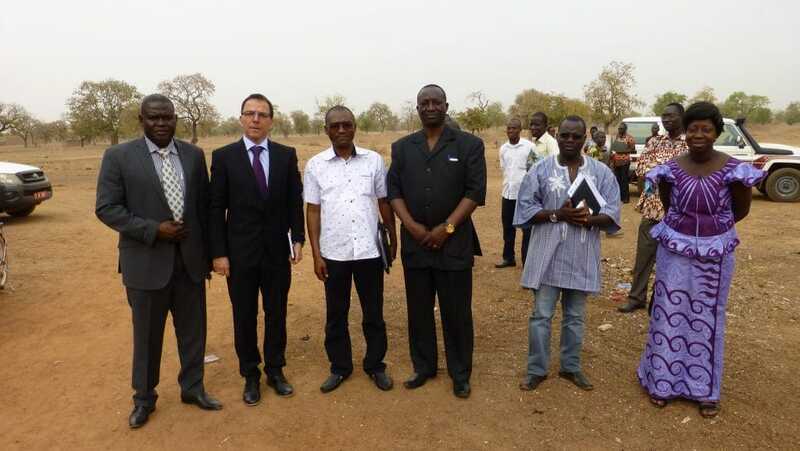 WATA technology already forms part of the WASH landscape in Burkina Faso, with 147 electrolysers installed by various organisations. Antenna is playing its part in rolling out WATA technology across the country and is developing integrated projects that offer appropriate solutions in a local context. Antenna has adopted a three-pronged approach in Burkina Faso, in order to lower the prevalence of water-borne diseases and illnesses caused by poor hygiene. In parallel, market research has been conducted to evaluate domestic demand for chlorine, the prospects for offering school programmes and the production of stabilised chlorine flasks for distribution among the population. Discussions are ongoing to determine an adequate strategy with key players and the partnerships needed to achieve the best possible impact. The initial focus is on hospitals and health centres, where there is a high demand for chlorine, especially for disinfection. There is a real advantage in producing chlorine locally, given the high price of bleach, which is not always of the desired quality in any case. A partnership agreement between the Ministry of Health and Antenna to manage the installation and use of WATA equipment in health centres has been in place since 2010, and two pilot studies have been conducted. 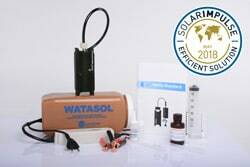 In the initial phase, we developed devices adapted for local requirements (Midi-WATA and WATA-Plus), collaborating with the Albert Schweitzer Ecology Centre on the solar power supply for the equipment. The results of the second study have been highly positive, and are paving the way for scaling up the project to a national level. Following the completion of this second phase, the Ministry of Health has issued a certificate of approval. Several studies have revealed that, despite the considerable efforts that have been put into the WASH programme, in particular under the National Programme for Water Supply and Sanitation, too many Burkinabe people are still drinking water that is unfit for consumption. From Antenna’s perspective, HWT seems an obvious solution. WATA equipment already features in the programmes of several development organisations working to improve access to clean water, in particular Terre des Hommes, WaterAid, Oxfam and Helvetas. Antenna would like to bring about a fundamental raising of awareness about the importance of systematic HWT and the relevance of chlorine treatment methods. The demand that this would create could be met through the social production of chlorine flasks, following the best-practice model of Tinkisso-Antenna in Guinea. A local approach offers a coherent alternative. The schools programme aims to make pupils aware of HWT. The availability of a WATA device not only allows pupils to learn chlorine disinfection techniques; it also teaches them how to produce chlorine on site for treating the school’s water supply. Antenna has built up solid experience in this area through successfully completed schools projects in Bolivia, Haiti and Kenya. Moreover, WATA technology can be smoothly integrated into ongoing or planned WASH programmes in schools around Burkina Faso. Antenna cannot complete these projects on its own, and is therefore constantly seeking partners to help fund, develop and run programmes. Beneficiaries: The hospitals project is being conducted at 26 health centres, where WATA devices have been installed and where training in on-site chlorine production has been provided. The project is set to be scaled up between 2016 and 2018. Several organisations are conducting pilot projects in schools, in collaboration with MENA. Funding: Antenna is making a financial contribution to the hospitals and health centres project, and is seeking additional funding to scale up this work. Preparation for the two other stages, including setting budgets, is now underway.